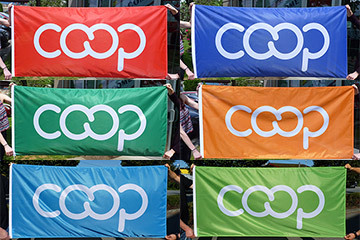 Available for purchase now: Co-op Logo Flags, Paper Flags, Buttons, Lapel Pins and more coming soon. 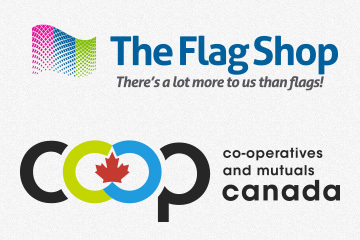 Read more about The Flag Shop and Co-operatives and Mutuals Canada, or click here to learn more about the Co-op Marque and International Co-operative Identity. 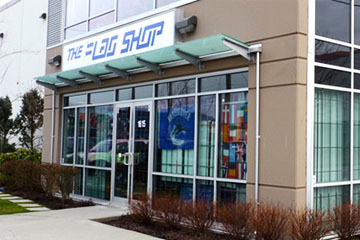 The Flag Shop is pleased to be the Canadian supplier of Co-op products, available online and at all of our 12 Flag Shop locations across Canada.